Deep sequencing – which identified a viral contaminant of the rotavirus vaccine Rotarix – could have revealed the presence of simian virus 40 (SV40) in the poliovirus vaccine, had the technique been available in the 1950s. Exposure of over 100 million Americans to SV40, and many more worldwide, could have been avoided, as well as the debate about the role of this monkey virus in human cancer. SV40 was discovered by Maurice Hilleman in 1960 as a contaminant of poliovirus vaccine. It was present in batches of both the Salk and Sabin poliovirus vaccines produced and distributed from 1954 to 1963. The source was the rhesus and cynomolgous monkey kidney cells used to produce the vaccine. Even more troubling was the observation that SV40 could cause tumors in hamsters. By 1963 screening procedures were instituted to ensure the absence of SV40 in poliovirus vaccines. Ironically, monkey cells were used for poliovirus vaccine production because it was feared that human cells might contain unknown human cancer viruses. SV40 does not cause tumors in its natural host – monkeys – because it kills infected cells. However, in the wrong host- such as a hamster – the viral replication cycle is incomplete and virions are not produced. At a very low frequency, pieces of the viral DNA become integrated into the host chromosomal DNA. Problems arise if these viral DNA fragments encode the viral T (tumor) antigen. This protein is essential for lytic replication (which takes place in monkey cells) because it kick-starts cellular DNA synthesis. The cellular DNA synthetic machinery is then co-opted for replication of the viral DNA. When only T antigen is present, the cells divide without stopping – they are transformed, and on the way to becoming a tumor. SV40 does not need to cause tumors as part of its life cycle; they are an aberrant result of having T antigen push the cells to divide. SV40 T antigen can transform human cells, and therefore in theory the virus could cause human tumors. The results of epidemiological studies initiated in the 1960s through the 1970s, in which thousands of poliovirus vaccine recipients were studied, indicated that this population did not have an increased risk of developing cancer. More recent reports that SV40 viral DNA is present in human tumors have led to a debate on the contribution of this virus to human cancer. Some of the arguments for and against presence of SV40 in human cancers are presented below. SV40 DNA has been detected in several human tumors, including osteosarcoma, mesothelioma, and non-Hodgkin’s lymphoma. Similar tumors are induced by the virus in hamsters. SV40 DNA is not present in all samples of a cancer, and in some studies of mesotheliomas, it has not been detected in any. SV40 viral DNA has been detected in tumors of those who could not have received contaminated poliovirus vaccine. In a comparison of mesotheliomas and normal tissues, SV40 DNA has been detected as frequently in both. Analysis of the SV40 sequences in mesotheliomas showed that the viral DNA was derived from a laboratory strain which contains a gap that is not present in the wild type viral genome. Even if SV40 DNA were definitively shown to be present in human tumors, this would not answer the question of whether the virus caused the cancer. The debate on the role of SV40 in human malignancy illustrates the difficulty in establishing cause and effect, and provides ample impetus for using genomic technologies to ensure that vaccines and other biological products are free of adventitious agents. Prof. Racaniello, I was wondering, could you do a post on what “deep sequencing” exactly is, and why it's so good for finding viral contaminants? My Google searches on the term have been less than helpful. Bernice Eddy informed her superiors at DBS that there was something in the polio vaccines causing issues in culture tissues, and in hamsters in 1955. She also informed the manufacturers. She was told to shut up. 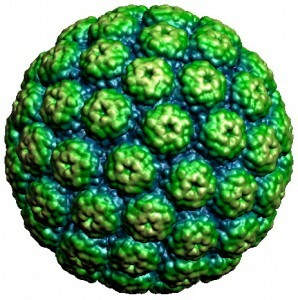 Eddy was also one of the first to realise that SV40 had become a stealth virus inside adenovirus, and had also combined with other viruses to form hybrids. That is, after all, why SV40 has been such a boon to you in the laboratory. I don't, for one moment, think we have been told the whole SV40 story. It's depth and breadth might be too shocking for many people to comprehend. You may credit Maurice Hilleman with the discovery, but anyone who knows what Bernice did and wrote, would not do so, because her family, friends and colleagues know what she endured in the DBS as a result of a discovery no-one wanted to know about, let alone progress her ability to pin the virus down, and work out a test for it. That it was Merch who gets the credit for that, is ironic, and further proof that the DBS was an organisation which was totally untrustworthy. That, and the other 32 dangerous and useless vaccines which DBS allowed to be released in those years, is also written up in a USA Senate Hearing, if you wish to pursue that further S.3419, April 20, 21 and May 3,4, 1972. Furthermore, stating that SV40 has been found in people who did not receive contaminated vaccine is quite irrelevant, because the work has never been done to show that SV40 does not vertically infect babies in utero, via breastmilk. or other methods of transmission. No work has been done to see whether, like other viruses, SV40 is transmitted horizontally via blood transfusions and sexually. Is SV40 found in sperm? So to use that as an thinly suggestive excuse to explain that the vaccine can't be “to blame” is false logic. A point of interest. When New Zealand, who were the dumping ground for the SV40 contaminated Connaught polio vaccines, hit Connaught up about selling them a contaminated vaccine, NZ was told by Dr Melnick to clean the vaccine. How? With 1M MgCl2 at 50 deg celsius for one hour, which supposedly killed the SV40 and left the polio virus just fine. The wonders of accurate vaccine manufacture! I shudder to think what else we weren't told! There is a whole lot more to this story than many people know. Vincent, have you read the NCI Monograph 29 “Cell cultures for Virus Vaccine Production” December 1968? Or Dr Robert Hull's 1968 monograph on “the Simian Viruses” which were found in the polio vaccine? There were many more than one. And then there is Mason Pfizer Monkey Virus. Researchers had conniptions when they found that in the polio vaccine, and worse, confirmed by serological tests that it had infected humans. I think it would be fantastic and utterly fascinating if any old stocks of those vaccines were rounded up and subjected to deep sequencing. Course, they might not want to publish the results. Perhaps it would be useful to have some links to explanations of techniques you talk about in TWIV, TWIP, and here? High-throughput screening, microarrays, and deep sequencing are all things that you guys know and take for granted, but which someone outside the field (like me) has to look up. And while I can use Google and Wikipedia as well as the next guy, I can't really evaluate the quality of the explanations I'm reading. SV 40 raises topics both fascinating and frightening, as I've learned from litigating mesothelioma (asbestos) tumors since 1983 and watching the horror of my then 52 year girlfriend relapsing into NHL a decade after it first struck her at age 42, with no family history of NHL. Her birth year, 1957, creates some likelihood she received polio vaccine that contained SV40. Two good recent article by SV 40 experts appear in a new textbook: Viral Oncology: Basic Science and Clinical Applications (Wiley 2010)(edited by Khalili and Jeang). Chapter 9 is by Natalya Baranova and Michele Carbone: Simian Virus 40 and Mesothelioma. Carbone is the leading expert on finding SV 40 and much more in the area. He has no doubt that SV 40 is a cause for some mesotheliomas, and cites ample evidence. For a very well done popular media book, read Bookin & Schumacher: The Virus and the Vaccine: The True Story of a Cancer-Causing Monkey Virus, Contaminated Polio Vaccine, and the Millions of Americans Exposed (2006) The book is incredibly well footnoted and sourced, and does much to raise the issues noted by the first commenter above. It makes for a very disturbing but useful read. According to The Virus and the Vaccine book (at 226-227), a physician in Oak Park, Illinois (Herbert Ratner) was concerned about the rush to use the polio vaccine and stashed a box of 1955 Parke Davis vaccine away in a refrigerator back in 1955. Ratner later gave some or all of it to Carbone. Carbone and Rizzo used PCR and found that the Parke Davis vaccine did indeed include a “slow growing” form of the SV 40 virus. Id. So, perhaps, the “deep sequencing” could be tested on some original vaccine. Like another commenter, I'll note that an explanation of deep sequencing would be much appreciated. “Causality”, Kirk, not “casuality”. I would have assumed it was simply a slip of the keyboard, as in your neologism “susbets”, but you repeat the error four times. Hilleman thought the SV40 was an artefact of the monkey-shipping system practised at the time; when the director of the local zoo suggested he bring green monkeys from Africa via Spanish airports to the US, the incidence of multiple virus infection in these monkeys significantly declined. I learned this from an expose on the subject assembled by Leonard Horowitz. Available on his website. I have found numerous patents where Salk and other universities are using the sv40 in retinoid and pesticide agents. As I was researching patents on 1,2,3,4-tetrahydronapthalene, I found one patent referring to Ronald Evans, Salk Institute and the simian virus. See patent 4981784, 5548063, 5911998 (vaccines), 7579330 (treatment for melanoma), 6830929, 5863794, 5641484, 2009068703, 5643567, 5641484 and many more patents. Johnson and Johnson was using TTNPB, an engineered hepatitis B virus taken from a human carcingenic flank in their FDA tretinoin cream Renova 0.05% and never labeled the product with this. This cream was revised in 1998 to 2000 and then revised again. Shortly afterwards, the govt mandated hepatitis B vaccine. Every biological drug must be analyzed to see what pharmaceutical corps are putting in their products. We can not afford to trust and our lives have been in severe detriment. They are putting carbon nanotubes in antiaging and lotions used by women and they knew that these agents cause mesothelioma. These peole need to watch on a daily basis the slow torturous and painful death they are causing to innocent unknown trusting patients and consumers. They need to pay the medical costs, the funeral bills, the care of the family who lost financial support in losing this family member who provided the financial strength to the family. They need to be put in front of a jury and have these toxic poisons of microbial, viruses, poisonous proteins and toxic metals smeared on their skin and injected into their bodies. All jurors must listen to the pain and suffering of the victim and all witnesses of their suffering and hold the pharmaceutical, pharmacists, physicians and all FDA personnel involved in allowing these agents to be used on humans. There should be no statute of limitations used on any victim as physicians and even attorneys are not allowing the true numbers of victims to be heard. Our government is paying pharmaceutical corps and universities to use viruses and proteins to make nano robotic systems. Patent 7349834, US Dept of Health and Human Services “Molecular Motors” is one such patent. Free Patent website click onto and in the search field put the patent number. It will bring you the interpreted patent, scroll down to view pdf and click will bring you to the orginal patent and you can review the drawings on what they are creating and view the original patent and chemicals, proteins, viruses used and bacteria. They are using viruses to create nano wires that will branch out in the human body as all of these long chain fatty reactions do of proteins. Patent 7163794, NY Univer., Nucleic acid nano robotic system was funded by NIH Grant GM-29554, Office Of Naval Research Grant N00014-98-1-0093, NSF grant CTS9986512, EIA-0086015,USAF F30602-98-c1048, DARPA/NSF NSF-ccr-97-25021 using chemical actuators, biotin molecules, streptavidin coated magnetic beads. Patent 20090220382, NanoGetter Device, Martin Lockheed, will inform of how they make nano getters used in biological medicine. Search Getters and you will find out what they are and what they are used for. Wikipedia has a photo of this transluscent plastic struture. How they use barium, bismuth andother heavy metals and gases to create these structures being used on humans. Patent 4793705, Single Molecule Tracking owned by US of America. It is you the people and consumers who need to educate yourselves on what is being put in your drugs and other foods and cosmetics and hygiene products. We trusted and that trust has been betrayed by a branch of govt that was developed to protect and those in that division of govt betrayed the American trust and congressional laws that endangered human life that is treason. If man was suppose to have monkey kidney cells (simian sv40 virus) then man would have been born with it, but instead man decided to mess with nature and cross species and created a new cancer as he did with asbesto. The medical word knew how toxic arsenic was and is using it in drugs and chemo as well as other toxic heavy metals, microorganisms and gases. Gases themselves carry microorganisms in them. They use nano pellets of aerogel and sol gels they will release themselves and cover the skin via altering hair follicles being used a drug delivery device. A M Kligman’s own stem cell lab is doing this at the Univer of Penn. Anyone who has been treated by Kligman and his son, I feel are in serious detriment. They must find all patents and NDA’s(New Drug Application) to find out what toxic agents were used on them. Anyone who has used any retinoid product or Vitamin A product must look at the container, hold onto the container and research all patents concerning the label of the product. It is your life you have a right to protect, and your physician nor attorney is going to let you know the entire truth. Who prospers by you being sick and who prospers by you sustaining a drug injury. Will you gain wealth no and if you by chance get lucky enough to get an attorney to help you, you will be to sick to enjoy it. I don’t know how they choose who they will help and who they allow to suffer, but they do. There is no one protecting our Constitutional Rights for all of us, just a few choice ones. I suffer silicosis of the lungs from the liquid silicone, I suffered impetigo and for which the NDA states a subject suffered and is a form of MRSA, I suffered blisters, scarring, dermatitis, blephnephritis, Keratitis, burnt corneas, Epstein Barr Virus (form of hepatitis B from the engineered hepatitis B virus used known as TTNPB), severe migraines and fluid in the skull, edema of the face, severe abdominal pain, rhinitis, sinusitis, anteriolethesis (spine slipping do to fractures caused by retinoids), high glucose, high lipid count, high WBC, high easinophil, high neutrophil, low hemocrit, low monocytes, atypia of melancytes, mono perivascular infiltrates, leukocytosis, anemia yet not one physician would do further tests on me nor on the cream that they knew caused my health issues. Not one attorney would help me and nor would the ACLU step in who has all my documentsand were representing the prisoners of Holmesburg Prison who sufferered tremendous health issues due to Prof AM Kligman torturing them with these retinoid and poison gases. The ACLU had a duty to find out what caused the prisoners reactions and just maybe these agents would never have been approved by the FDA to be used on law abiding US citizens. There are thousands of patents using agents that were not to be used on humans, yet physicians are prescribing them and they are not infomrming their patients. Don’t take antidepressants and don’t take any medicine until you research all active and inactive ingredients that are not being listed. Actually Dr. Bernice Eddy at the FDA discovered this contaminant in the 1950’s. Her voice was squelched by those in charge at the FDA. we know that there have been children vaccinated as late as 1998 who tested positive while their cord blood and parents tested negative. Lederle opv was likely contaminated as late as 2000 until it was taken off the market in the US. SV40 wasn’t the only oncogenic virus in that vaccine. we have porcine viral contaminants in the rota virus vaccine, hpv dna in gardisil and the list goes on. If the 5th leading cause of cancer death worldwide (hepatocellular)is triggered by SV40 and gliomas as well as retinoblastomas, mesothiliomas and non -hodgkins follow suit what are the future cancers we’ll be causing. giving industry free reign with no legal recourse has been a nightmare for the human race in terms of cancers and zoonotic diseases. having got 5the salk’s beginning in 58 and a few years later the sabins , I certainly would like to know the truth here , but no one is telling anything conclusive at all . I knew the stuff was contaminated by 1959 . that pissed me off and i’m still pissed to this day . nhl patient , I understand no cure . been to surgery x3 and cobalt treatments . I just live with it basically uncompensated , just like so many others . outrageous . The FDA response to deep sequencing and the finding of porcine viruses in the rotavirus vaccine prevented any further use of the technology for vaccine or vaccine reaction diagnosis. An emergency meeting of VRBPAC, May 7, 2010, transferred FDA oversight and choice of vaccine substrates to the manufacturers, my comment is in the afternoon public session. One of the developers of the test (LLMDA), Dr. Holly Franz stated the $400.00 slide could screen for every known pathogen overnight and predict vaccine reactions before they occurred. Six months later FDA banned use of the test for diagnostic purposes (i.e. vaccine reactions) then Lawrence Livermore Labs stopped searching for commercial partners to use the test and DOE sent the technology to the Chinese. In 2011 the Chinese announced their entry into the vaccine production market. In California, and nationwide, forced immunization policies may soon provide the Chinese access to the body of every man, woman and child in the US – the Land of the Free- where the FDA now never performs clinical evaluations of vaccine reactions and bans citizens from using taxpayer funded technology for diagnostic purposes. Do “bad side effects” include, e.g., getting polio from the OPV? And is poor spelling a side effect of vaccination? only delusional cultists like you get anything from a vaccine. for those of us here in the USA, which vaccines do you have evidence cause any illness? Again, the live polio vaccine WAS a source of illness here until fairly recently. Currently, we have several live virus vaccines which can cause illness in immunocompromised individuals such as myself, which is why recently vaccinated persons are not allowed to visit in children’s cancer wards, for example. The current pertussis vaccine (a killed bacterial product) does not actively cause disease but does allow asymptomatic transmission of the disease, posing a risk to those who are most vulnerable. Rotavirus vaccines have been shown to cause intussusception, a potentially fatal condition, in a small number of recipients. Other vaccines have been implicated in causing the injuries resulting in billions of dollars being awarded by the U.S. government through the VICP (Vaccine Injury Compensation Program). While the risk is statistically small, it is not a delusion. There is also a question of whether vaccinations may contribute to autoimmune disease, but this has yet to be adequately investigated. Given the lack of double-blind placebo-controlled studies as well as long-term cohort studies, it is impossible to determine the actual incidence of adverse effects.